I love the team I work with, everyone has their own personalities and it's great that people can be themselves on the shop floor." Michelle started at Sainsbury’s when she was 16 to get pocket money. She’s been with the company for 32 years in total and has worked across a range of areas. She currently works in Nine Elms. “Being a single mum with grandchildren, flexibility is always the biggest thing for me and I find I can get that here. My manager is really supportive, whatever I’ve got going on we can always move things around to make sure I’m there for my family. That’s a massive plus for me and one of the reasons I’ve been here for 32 years. 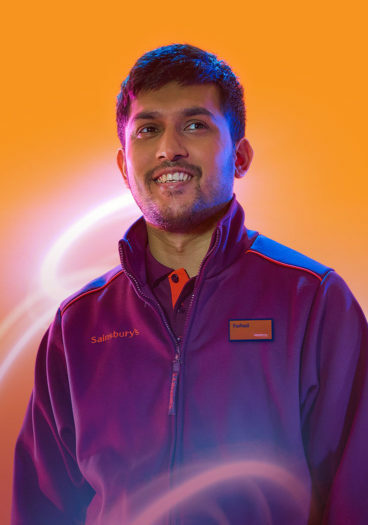 “I started at Sainsbury’s when I was 16 to get some pocket money, I worked on the check outs, then grocery, fresh, counters, clothing, I’ve done it all! 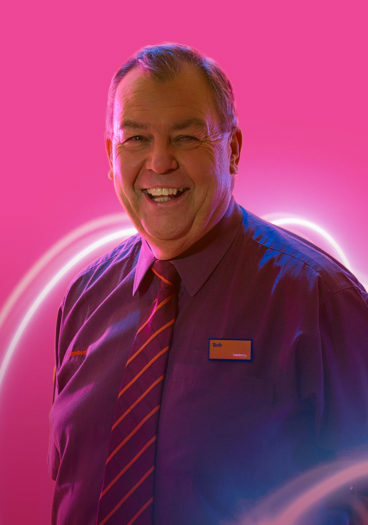 My favourite part of the shop is the checkouts, I like having a chat with the regular customers and I like the pace of it, things move so quickly there.